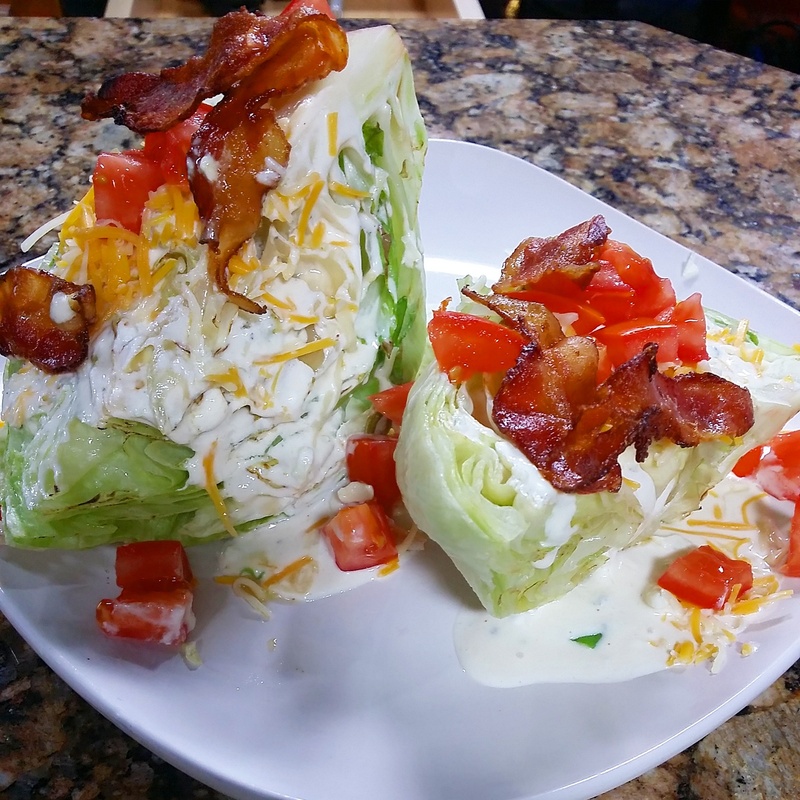 Grilled Iceberg Wedge? – Butter, Baking, and Bacon! Charring the iceberg lends a new dimension to an old favorite! Fully cook bacon, but do not make it too crisp! Set aside on paper towels to drain. In a small bowl, mash the blue cheese with a fork. Add the buttermilk, sour cream, Worcestershire sauce, and lemon juice and whisk to combine. Season with 1 tsp. salt and several grinds of pepper. Stir in the chives or green onion. Put the iceberg on a baking sheet, drizzle with the olive oil, toss gently to coat evenly, and season with salt. Place the iceberg on the grill cut side down and grill until nicely marked, 1-1/2 to 2 minutes. Turn and mark on the other cut sides, about 2 minutes more. Transfer the grilled iceberg to a platter or individual plates. Spoon a generous amount of the dressing on top, then scatter with the bacon, cheese, and tomato. Serve immediately, passing any remaining dressing at the table.